"We’re going to deal with it in such a way, I think, that people will understand that we want everybody to respect our country, respect our flag. And our playing fields, that’s not the place for political statements." The owners are expected to discuss protests at this week’s meetings, but no vote is scheduled. 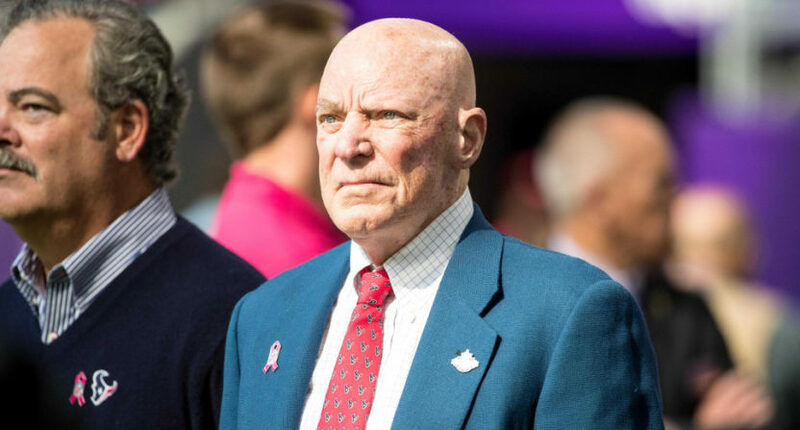 Giants’ owner John Mara told Maske a new policy and a vote could come at the owners’ next scheduled meetings in May in Atlanta, and that it would be difficult to change things ahead of this season after those meetings. Meanwhile, Jets’ owner Christopher Johnson said “I can’t speak to how other people run their teams, but I just think that trying to forcibly get the players to shut up is a fantastically bad idea.” So the owners aren’t all in agreement on what action, if any, to take around protests at this point. But it does seem that McNair is one of the figures pushing for decisive action to try and stop protests during NFL games. …McNair said his sense is Richardson regrets agreeing to the settlements rather than attempting to shoot down the allegations. McNair is right that settlements aren’t necessarily proof of the accusations that led to them, and that sometimes it can be both more expensive and more damaging to try and fight allegations publicly. However, this is quite the attempt to make light of the accusations against Richardson, accusations that are currently the subject of a NFL-commissioned investigation, and comments “made jokingly and misunderstood” is not really an excuse for bad workplace behavior. As with his protest comments, these remarks from McNair may not be that well-received.